Yes, there's actually mustard in this cocktail. It was Colonel Mustard, in the Conservatory, drinking a cocktail next to the Candlestick. For my Clue cocktail party, I set out to make one cocktail and one appetizer for each of the six murder suspects in the boardgame. 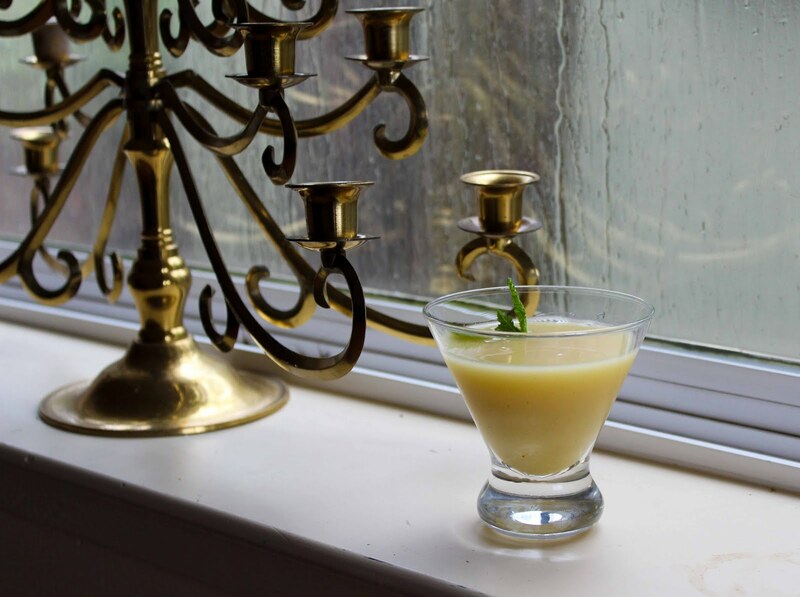 While Colonel Mustard's appetizer was within the realm of normal cocktail party spreads, the idea of a cocktail with mustard was a little more unusual. Fortunately, I am not the first person to be intrigued by a cocktail based around mustard. The one I served at my Clue cocktail party was based on this one from the good people at bon appetit. I streamlined the cocktail for my party, the guest-list of which was nearly exclusively comprised of people without experience making cocktails. Combining the mustard with the lemon juice and honey beforehand requires much less vigorous mixing at the cocktail bar, and reduces the amount of ingredients to be measured. Strain and pour into a glass, garnish with a mint sprig. Shake vigorously until fully mixed. 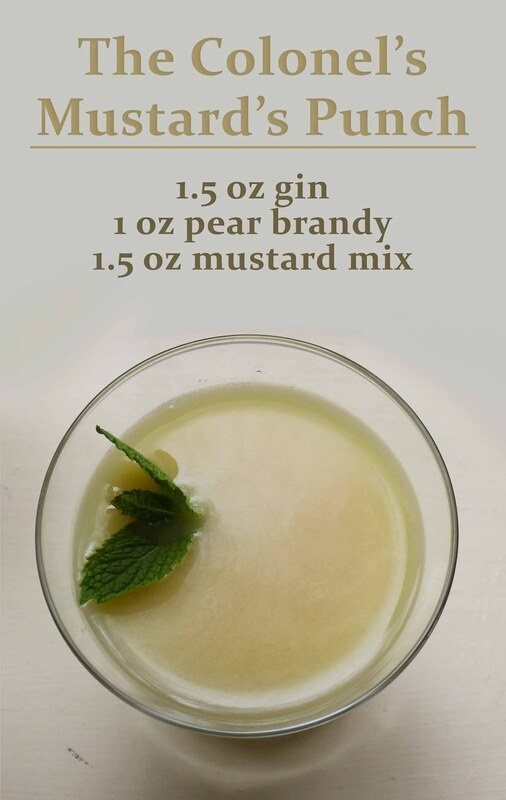 The end result works surprisingly well - the bite of the mustard blends well with the herbal flavors of gin. My tasters were all pleasantly surprised: "If I didn't know there was mustard in this, I wouldn't have guessed, but it's actually really good." The honey and the pear brandy lend a subtle sweetness; this isn't a cocktail for those who prefer their alcohol to be masked in sugar. Perhaps because of its flavor, or perhaps because of its uniqueness, this was the most popular cocktail at my party. Check out more geeky cocktails and drinks, like this bright blue Dota sangria or this fizzy cocktail inspired by murder suspect Ms Scarlett. Neat cocktail. Makes me think of a salad with pear and a lemon, honey,Dyon mustard dressing. Yeah! That's a good way to put it. It sounds weird at first, but when you think about it a little more it seems like an entirely reasonable thing to mix in a cocktail shaker.